> Do high performance air filters really give you extra power? Do high performance air filters really give you extra power? One of the more simple ways of getting more power out of your engine is by using a high performance aftermarket air filter. But do they really give you more power? Thanks to YouTube channel Engineering Explained we have the answer to the above question. 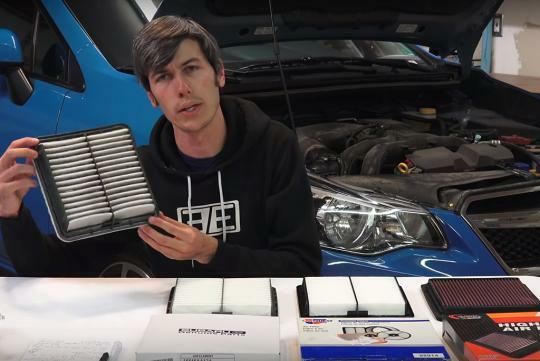 By gathering using a Subaru XV's dirty standard air filter as the benchmark, the host pitted a new original filter against a cheap aftermarket filter and a K&N performance air filter. The video then shows us how much horsepower can be gained or lost by running their 2.0-litre XV on a dynometer. They also did some real-world acceleration runs to see whether the new horsepower changes actually translate to more speed. So which option is the best? Watch the video and see for yourself!